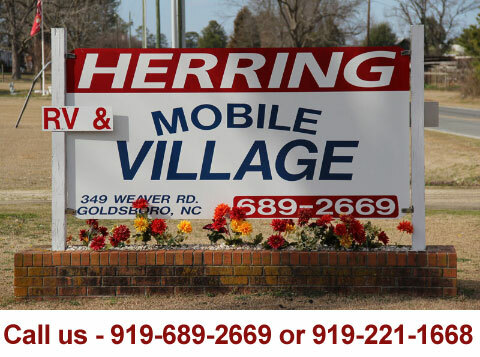 Located just minutes from Goldsboro, NC – Herring RV and Mobile Village has RV lots with hookups for rent and Mobile Home lots for rent. Our RV hookups include electricity (50/30 amp), water, sewer and garbage pick-up. I-95, I-40, I-795 and US 70. Feel free to give owner Steve Herring a call at 919-689-2669 or 919-221-1668. Leave a message if you don’t get us and we’ll be back in touch as quickly as possible.